Movies.com > Movie News > What Movies Do You Wish Were Longer? What Movies Do You Wish Were Longer? There are plenty of movies we consider too long, and the criticism may in fact stem from poor editing or it may instead be the fault of our own impatience and bladder size. Or, as Ebert famously implied, it could just be that we don't like the movie enough to want it to keep going. But it's not as common to hear the complaint that a movie is not long enough. Why is this? In a way, the problem is likely greater if a movie is too short, especially if it's clear the reason is that necessary elements of story and character development have been excised for the sake of showtimes (as in fitting more of them in a day or squeezing it into a TV time slot) or a presumption about the audience's attention span. Recent complaints about Harvey Weinstein cutting down Snowpiercer in order to dumb it down for the Midwest goes to show that moviegoers anticipate that this particular movie will be shorter than it should be. A number of other movies that later received director's cuts had similar issues of being butchered, such as Heaven's Gate, Once Upon a Time in America and Pat Garrett and Billy the Kid. In some cases we never get to see the longer version, as with the infamous case of Greed. Meanwhile, although many found the Lord of the Rings installments too long, others were delighted to see more when Peter Jackson released extended versions. Other movies may just have characters we'd like to keep following regardless of the fact that the narrative at hand has closed. I supposed that could lead to a discussion of movies we wish had sequels. But at the end of (nearly) every Marx Brothers movie I want to keep watching those crazy guys. And for the most part, sequels wouldn't make sense with those. Another matter may simply be the cost of seeing a movie. I sometimes feel cheated if I see a 70-minute movie for the same price as a three-hour epic. 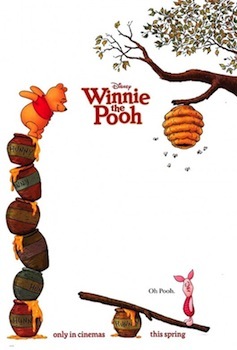 Most of those are animated features and are too costly to make longer, and hopefully some of them are supplemented with shorts now, but there was no way I would have found the 63-minute Winnie the Pooh from 2011 worth the money. Movies adapted from novels, and not just long ones, as well as biopics are two other easy arenas where we can find problems of abridgement. As much as I appreciated the ambition of Garth Jennings' film of The Hitchhiker's Guide to the Galaxy and all the parts they got right with it, 110 minutes is just not sufficient enough time for that material. Dune is another that's hard to squeeze into a feature. Even a book as short as The Hunger Games can wind up with a film that should be longer, and even now with Hollywood's solution of dividing a long novel into multiple films doesn't always work. Fans can always nitpick about scenes that are left out. 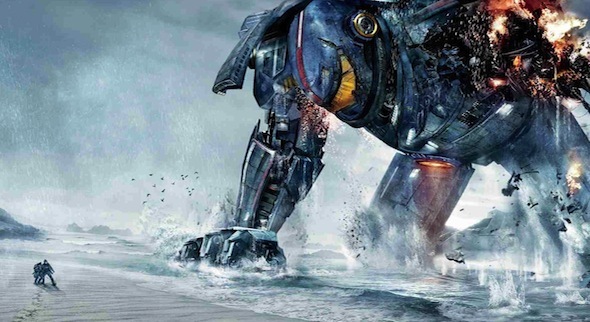 One recent movie I really wish were longer is Pacific Rim. Yes, I know it's more than two hours. And maybe I wouldn't have enjoyed the extra filler, but I did want something more out of it. More character scenes. In a way, as much as I don't like the film as released, I'd be interested in a sequel simply to experience an expanded world as I desired. I've often enjoyed sequels for comic book movies I didn't originally like for similar reason, most specifically with the X-Men and Hellboy franchises. What movies are too short? @thefilmcynic Screwball comedies from the 30s, any Buster Keaton movie from the 20s. @thefilmcynic All the Transformers movies. And not enough explosions either. @thefilmcynic Green Lantern. It needed more time to fully flesh out its rushed story. @thefilmcynic Needful Things. If you've seen the 4-hr tv version, you know what I mean. It's actually good! @thefilmcynic I could have honestly watched another full hour of Spring Breakers. Purdy movie. @thefilmcynic I actually haven't been able to see it yet, but I hear The Meaning of Robots was absurdly short to the point of confusion. @thefilmcynic Ah, sorry, this was a serious poll :) Then I vote Lost in America, Local Hero, and Monty Python & the Holy Grail.